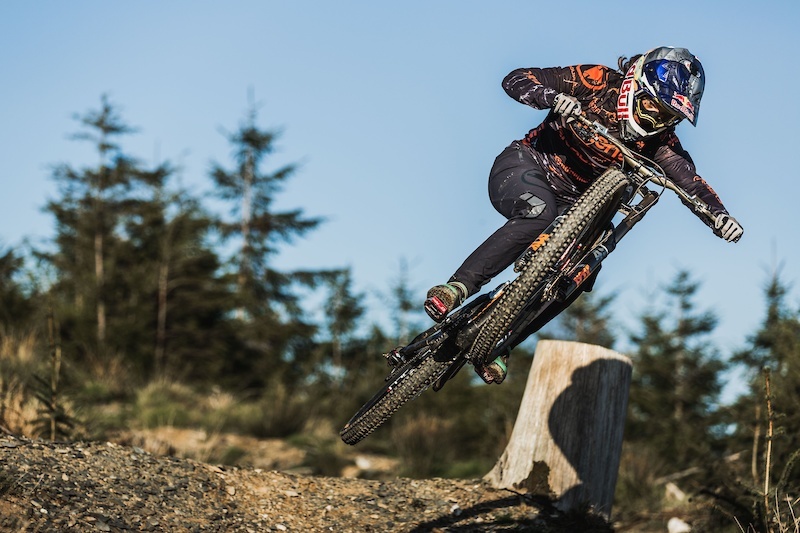 The first round of the British National Downhill series is over and with less than two weeks until the opening round of the World Cup, most of the top UK riders were in attendance. In the elite men’s race, Matt Walker would take the win with nearly two seconds back to Saracen teammate Danny Hart. Gee Atherton would take his second third-place finish aboard the prototype bike. In the elite women’s race current world champion Rachel Atherton would pilot the new Atherton DH bike into first place with an impressive 6.76 second gap to Tahnee Seagrave in second place. Everyone has been wondering if the prototype would be up to speed by race season and Rachel has definitely proven that it is not going to hold her back.